It is one of the oldest and most established skating clubs in central Illinois–WE HAVE EXPERIENCE! We incorporate all enthusiasts of skating– competitive, recreational, beginner-advanced, all ages (including adults), fans, and we even have some hockey players as members! Bottom line— You love skating, then we are the premier skating club for YOU! 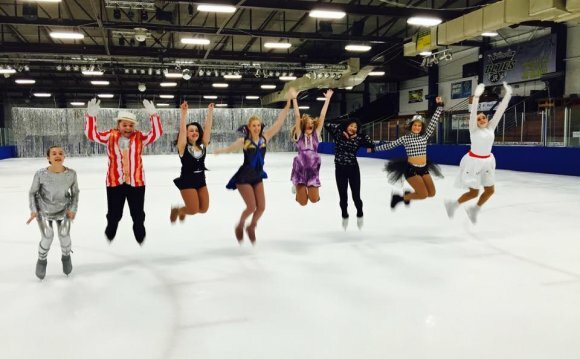 We look at skating as not only a sport, but a life experience on and off the ice! We want you and your family to love and appreciate the sport of figure skating! Join The Springfield Figure Skating Club! Receive financial assistance with Qualifying Competitions! Have fun at our special events throughout the year: Fun at the Fair Day, Secret Santa, Holiday Parties, Annual Awards Banquet and many more! Please make checks out to SFSC and place in black payment box located in Rink 1. To join Springfield Figure Skating Club and US Figure Skating we charge an annual membership fee plus annual US Figure Skating dues. Your membership includes a subscription to SKATING magazine and monthly club newsletters. Membership runs July 1 thru June 30 of every year. Please note: Because we run concurrent with US Figure Skating we do not pro-rate membership fees. Skating/Show Membership: ($75.00) Any individual member who participates in skating activities within USFS or SFSC. Member has voting privileges and is eligible for election to the SFSC Board of Directors. Skating/Non-Show Membership: ($75.00) Any individual member who participates in skating activities within USFS or SFSC. Member has voting privileges and is eligible for election to the SFSC Board of Directors. Associate Membership: ($50.00) An individual member whose home club is other than SFSC and who lives outside of a 60 mile radius from the Springfield Nelson Center. Member does not have the privilege to vote or hold office. Supporting Membership: ($15.00) Any individual member who does not participate in skating activities within USFS or SFSC. Member has voting privileges and is eligible for election to the SFSC Board of Directors. Collegiate Membership: (FREE) This is a four-year membership at a reduced rate for college-aged members, and all USFS skating privileges apply for the four-year duration. Member does not have the privileges to vote or hold office. Introductory Membership Rate: For the first year a family joins USFS, the membership cost for the first family member is $25 and $20.00 for each additional family member is added. **In addition to the membership fees, SFSC requires that each skating family volunteer 20 hours of service to the SFSC (10 during Spotlight on Ice). Each family also agrees to fulfill Spotlight on Ice obligations of selling $350 in advertising and show ticket sales. This rate is reduced for first year members to $300 in advertising and show ticket sales. Non skating families are encouraged to join our club in a supportive role. They may chose to particiapate in volunteer hours, fundraising and other activities to support and benefit the skaters of the SFSC!